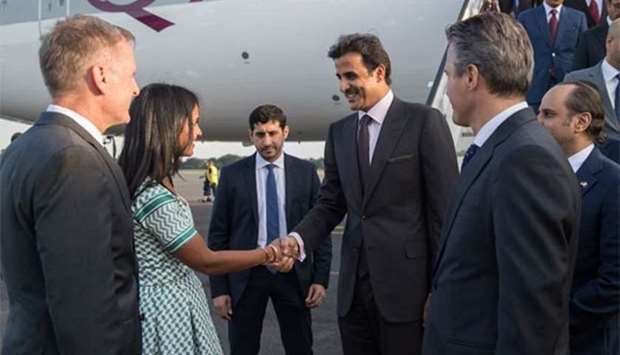 His Highness the Amir Sheikh Tamim bin Hamad al-Thani is being greeted on his arrival at Berlin Tegel Airport on Wednesday. 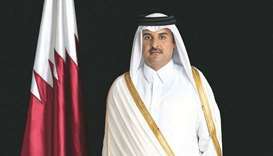 His Highness the Amir Sheikh Tamim bin Hamad al-Thani arrived in Berlin on Wednesday for a working visit to Germany, where he will meet with President Frank-Walter Steinmeier, Chancellor Angela Merkel and other senior officials. During the visit, the two countries will strengthen bilateral relations in various fields. The Amir and Merkel will also address the opening of Qatar-Germany Business and Investment Forum, which will take place on Friday. On his arrival at Berlin Tegel Airport, His Highness the Amir and the accompanying delegation were received by State Secretary for Civic Engagement and Intercultural Affairs in the Berlin state government Sawsan Chebli, German ambassador to Qatar Hans-Udo Muzel, Qatar's ambassador to Germany Sheikh Saud bin Abdulrahman al-Thani and members of the Qatari embassy. 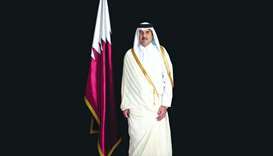 The Amir is accompanied by an official delegation and a number of Qatari businessmen. 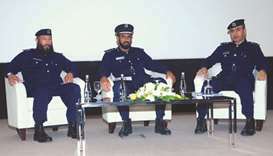 The two-day 9th Qatar Germany Business and Investment Forum, which is attended by senior government officials and decision makers, as well as businessmen and representatives of the public and private sectors and major companies of both countries, aims to enhance bilateral relations in all fields, especially economic, investment and trade. The event is an appropriate platform to confirm Qatar's commitment and keenness to benefit from investment opportunities which comply with its economic strategies. 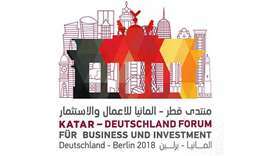 The forum is being held at a time when Qatar's investments in Germany exceed 25bn euros in vital sectors such as automobiles, information technology and banking and in light of the shared desire from both the Qatari and German sides to encourage and develop mutual investments. 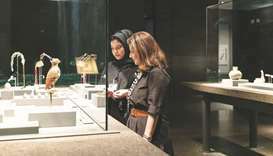 Relations between Qatar and Germany have been seeing a steady growth as Qatar has become an important partner of Germany in the Middle East and North Africa region. 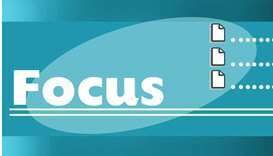 Trade relations between both countries are more than 60 years old and diplomatic relations have been established for more than 40 years. 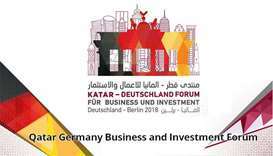 The economic and investment event embodies the strength and robustness of Qatari-German relations as it is based on mutual trust and shared vision. 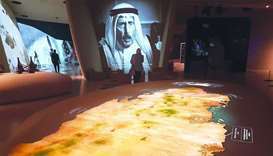 The event is also considered a cornerstone of Germany's co-operation with the Arab world. 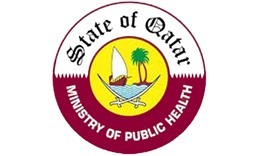 Co-operation between Qatar and Germany in diverse fields includes partnerships in different fields such as sciences, education, technical training, research, development and new and renewable technologies and others. The trade relations between Doha and Berlin have significantly developed over the years, with more than 300 German companies operating now in the Qatari market. The increase in the trade exchange between Qatar and Germany has made Germany one of the most important trade partners of Qatar. Germany is also a main partner in achieving Qatar's National Vision 2030, especially with regards to developing an economy based on technology and knowledge. 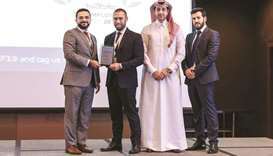 German software company SAP has a partnership with Qatar Science and Technology Park to provide the required mechanism to develop programnes and applications to transfer knowledge and technology. This contributes to training and preparing Qatari youth in technical and digital fields.